We have a variety of modules that children can pick and choose from and of course lots of opportunity to play and make new friends and to meet old friends from previous camps at M&A. Parents can pre-book the days/weeks that they require and tailor the times that best suits them. 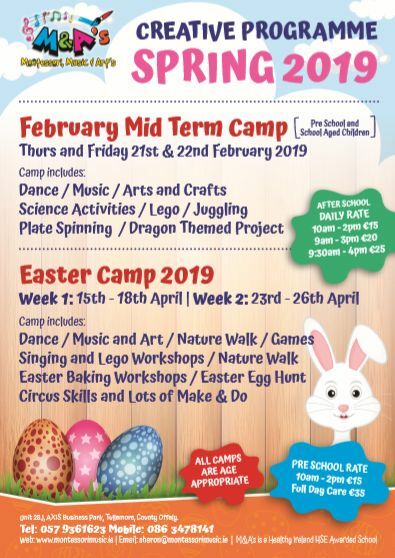 Camp includes: Dance / Music and Art / Nature Walk / Games Singing and Lego Workshops / Nature Walk Easter Baking Workshops / Easter Egg Hunt Circus Skills and Lots of Make & Do! Contact M&A NOW to book your child’s place! This entry was posted in News and Events, Spring, Uncategorized and tagged 2019 Camps, Easter Camps, Midterm Camp. Bookmark the permalink. 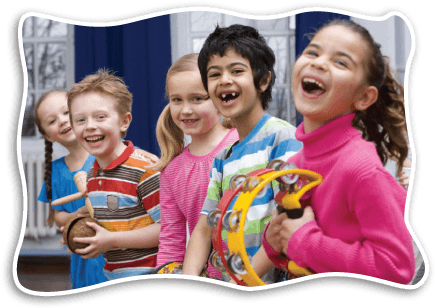 M&A’s Montessori, Music & Arts, Unit 4, Axis Business Park, Tullamore, Co.Offaly. Site Design by Graphic Index Ltd.